The Baltimore Ravens and Dallas Cowboys are set to square off on Sunday in week six of the National Football League season. The home team, the Baltimore Ravens comes into the game with a 4-1 record. They lead Cincinnati, Pittsburgh and Cleveland in the AFC North. The Ravens are the defending divisional champions. Baltimore is coming off a 9-6 sluggish win over the Kansas City Chiefs on Sunday. Dallas was off last week following their blow-out loss to Chicago on Monday Night Football in week four. The Cowboys come into the game with a 2-2 record. They trail the Eagles and Giants by just ½ game in the NFC East. 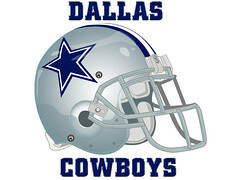 Dallas already has a win over the defending division champion New York Giants under their belt. Have your pick finalized already? This bookmaker has great odds on the game. Can the Ravens keep the winning going? The Ravens have just one loss on the season; coming September 16th to the Eagles. Baltimore’s Joe Flacco has been pretty solid most of the season, despite not throwing a touchdown on Sunday. Flacco has thrown for 1,456 yards and 7 touchdowns thus far. Ray Rice has been the stud at the running back position, with 419 yards and 3 touchdowns. Baltimore’s defense numbers have not been as good as the past, but they are still doing enough to keep the winning ways going. In the last three wins, the Ravens are outscoring foes 63-55. The Ravens have allowed an AFC North least amount of points; 89 through the first five games. Will Dallas be able to bounce back from a disappointing Monday Night Loss? The Cowboys are going to have to figure out a way to take better care of the football if they want to move to above .500. Dallas turned it over five times in the loss to the Bears on Monday Night Football. All five of the turnovers were interceptions thrown by Tony Romo. Two of the interceptions came back for touchdowns by Chicago. The Cowboys quarterback has thrown just five touchdowns, with three of them going to Miles Austin. Running back DeMarco Murray has rushed the football 61 times for 237 yards and a touchdown on the season. The Cowboys are playing in their first of two straight road games. Next week – Dallas heads to Carolina. It’s almost gametime. Check out this top sportsbook to bet on the game. This game should have a bunch of interesting side shows. The Baltimore Ravens defense is very good, and showed that in the win over Kansas City. The Ravens are going to come after Dallas hard. For the Cowboys, Tony Romo has not done a great job of taking care of the football, which is a concern. In the end, we like the Baltimore Ravens to come away with the win in this game. We are going to bet the Baltimore Ravens -3.5, and also take the under in the total. The number is set at 44. In what we feel will be a pretty good game, we are predicting Baltimore 24-16.